immobiliere courchevel is located rue de la croisette in courchevel 1850 (73120) (france). This place is listed in the agence immobiliere category of the geodruid courchevel 1850 2019 guide. 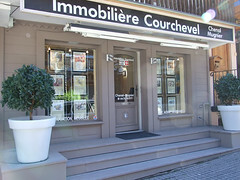 On this page, geodruid displays a set of pictures related to Immobiliere Courchevel from Flickr.